Welcome to Simon Loli's website! I hope you find your visit enjoyable and my artwork inspiring! I hope you find your visit enjoyable and my artwork inspiring. I have created many years ago a very unique signature style of mixed media art due to my great passion for painting and photography. I use any of the photos that I have taken, then mount or print the photo on a medium, particularly canvas, and then hand-paint the border and give it texture and a faux finish to make it look like a three dimensional framed art piece. The pieces are sealed for protection from the elements and can last over 100 years without fading. Any of my photos can also be prepared as giclees (photos printed on canvas) at almost any size or printed and matted with window for you to place in a photo frame of your size preference. Any of my photos in the mixed media style can also be special ordered to be decorated with custom-designed plexiglass where it is free hanging held by painted knobs. I also can do custom work with your own photos that you have taken. You can choose any of your personal photos that you took during a fun trip or even of your family, friends, or that special someone, and I can touch and clean up and enhance the photo and either print it as a giclee or make it as my signature mixed media style almost any size you choose. The possibilities are endless!! Please do not hesitate to call me with any questions. All artwork and photos are produced with gallery-quality archival materials. I use archival-quality professional photo paper and the Epson professional series printer with pigment-based Epson Ultrachrome inks. All other materials used are acid-free and buffered. These high quality products ensure longevity of up to about 100 years. Please note that all artwork and photos are also color corrected and managed in my studio but the 'true' colors may not be seen on your monitor since your monitor may not be color managed. Artwork and photos in my gallery are not high resolution for protection of unauthorized use. I am constantly updating and adding more artwork and photos to my gallery so come back soon for more viewing. Comments are always welcome and thanks again for visiting! Below you can view my November 2008 interview by N Art Magazine. The magazine fosters and promotes San Diego art and it was an honor to be chosen to not only be interviewed, but I also was asked to be their TV host. 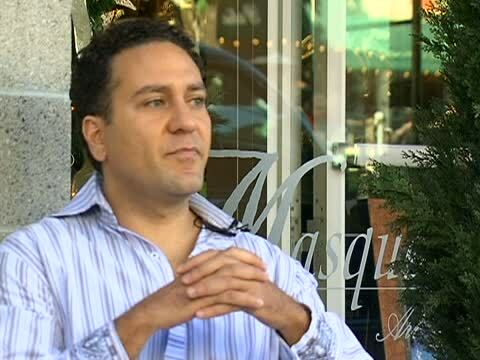 The show and interview was aired on San Diego ABCTV Channel 10 for the month of November 2008. 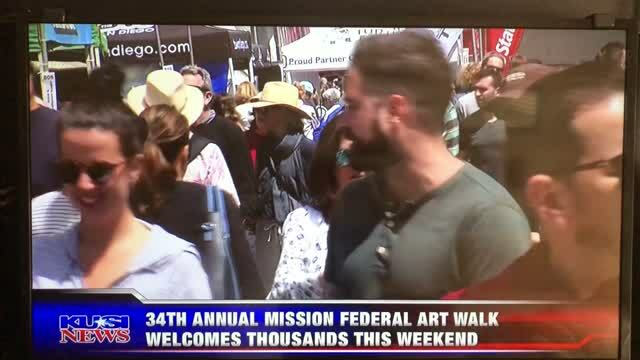 Below is another video where San Diego KUSI News interviewed me as a featured artist out of about 400 during Artwalk April 2018 event. As a side note, I have also started my own personal chef business since my other great passion is cooking. Cooking has been a tremendous love and passion of mine for 36 years and every single movement and action in the kitchen is with utmost passion, love, and care. You will taste this spiritual connection when you try my delicious food! Due to my family deep roots of the ancient Egyptians and Romans, our family generations have embraced very deep connections with the delicious cuisine of the Mediterranean and their worldly travels. Many of my family members in both cultures have been exceptional gourmet masters in the kitchen. As a result, all of my fondest childhood memories were always around the kitchen and the garden. It is indeed a family passion and tradition of many generations. Please visit my other website at www.cucinaloli.com for more information on personal chef services!